Many companies tend to be too internally focused and often lose sight of what’s important and relevant for their customers. I want to show you a quick way on how we made transparent the wishes and pains of our users. Learn how to find valuable solutions to both the customer and the company. 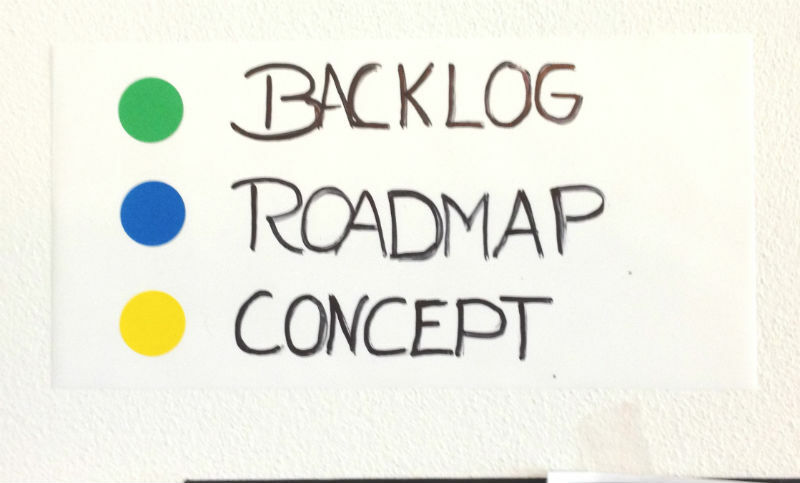 Instead of creating long lists of initiatives that are full of not validated assumptions and stories we wanted to ensure that the users can benefit fast from our planed improvements. In one of my teams we started to make transparent what our customers really want. We came up with the idea to set up a feedback wall that shows us and the entire organization what struggles our users and what problems do they want to have solved. 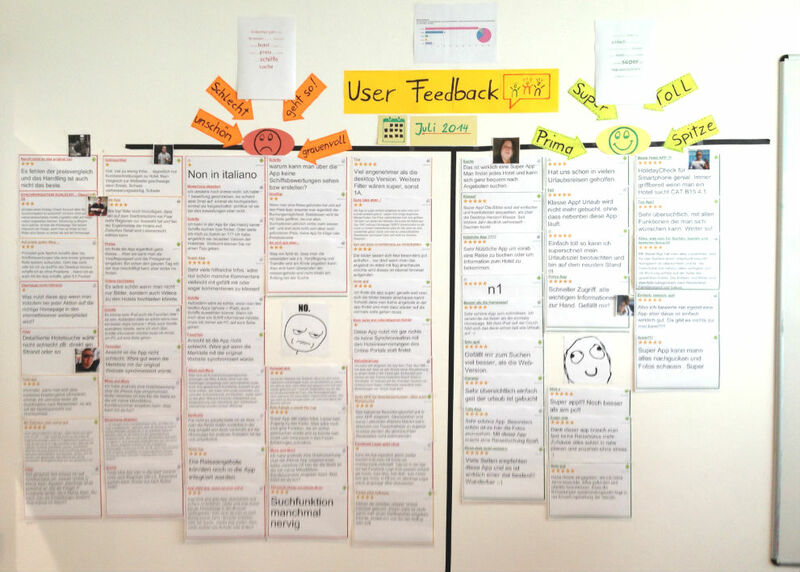 Well done: Positive feedback helps the scrum team to get an idea of what the users already love. It can give you a sign be careful in taking decision on existing functionalities. It can also help you to trigger new ideas by asking the customer in a user test. To Improve: This helps us to know the user´s real pains and wishes. The Improvement part helps us thinking about MVE’s – Minimal Valuable Experiments. A very basic idea to check if our potential solution is going into the right direction. As the feedback is quite recent the entire team checks if there are some quick wins that could solve a problem in a short time frame. You can show ROI (Return On Invest) very fast by implementing some simple fixes and quick wins! It’s not always necessary to start with the big features. Organizations can get the most value out of efforts if they treat the customer’s feedback seriously. That’s why we re-check our feedback channels regularly and replace the items that are shipped with new ideas and wishes. That’s how we want to ensure to create only products and solutions that customers love. I would love to receive your feedback of that idea! Do you use other ways to show transparency of your your customer’s feedback? Do you have an idea to make it even better? Leave your comment!